I downloaded the 2.4GB file from here and reduced it. In addition, I cropped the black from the sides and increased the aspect ratio while boosting the brightness and contrast. In this adaptation of William Saroyan's award-winning play The Time of Your Life, James Cagney plays a gentle barfly named Joe who settles in Nick's (William Bendix) Bar with various colorful characters like an imaginative old cowboy or a tap dancing comic who can't get laughs. His sister Jeanne plays Kitty Duval, a woman who claims to once have been in burlesque. She and her brother have some of the most touching scenes in the movie. The pace takes a while to get used to but if you're in the mood for something optimistically offbeat, The Time of Your Life should be up your alley. A group of women (one from each of the bigger Allied countries) is held by Nazis in Shanghai, who have developed a super weapon more devastating than the atomic bomb. A flash video version of this film is also available from the URLs below. 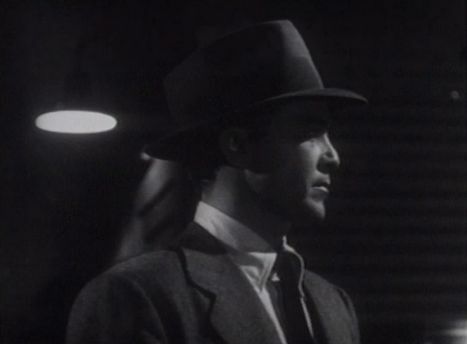 An atmospheric little noir starring Charles Russell and Mary Beth Hughes. Fritz Leiber, Sr. (father of the famous author) has a cameo as a seer or psychic. A murderous bank robber (Hugh Beaumont) on the run from the law hides out in a small town, where he gets a job as a cab driver. 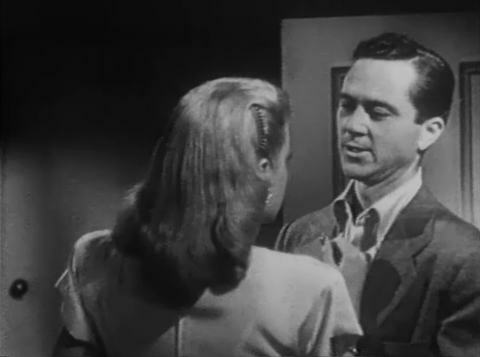 He meets a young girl (Frances Rafferty) who is caring for her ill but wealthy aunt. He courts her and they eventually marry. She soon discovers exactly who he is, and finds herself enmeshed in a scheme involving murder and loot from a bank robbery.